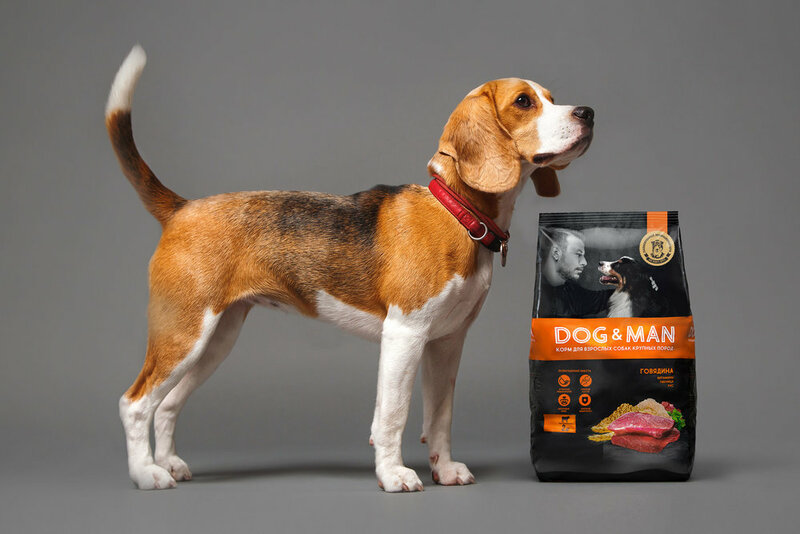 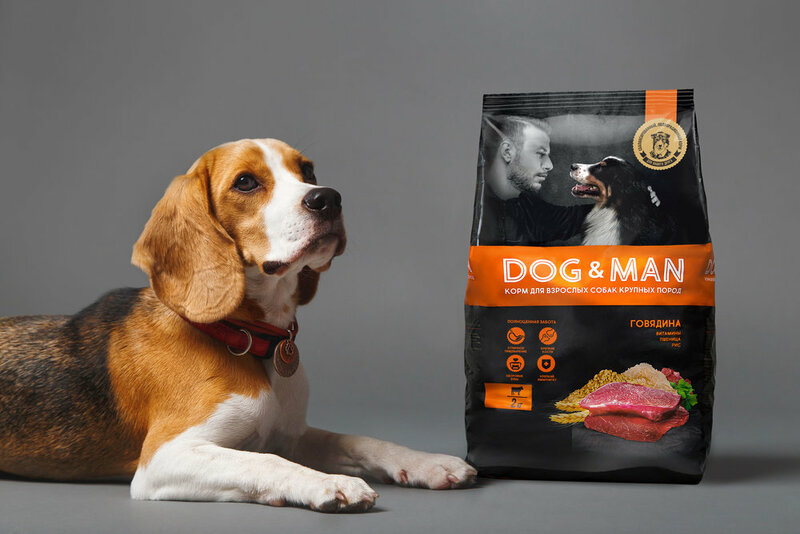 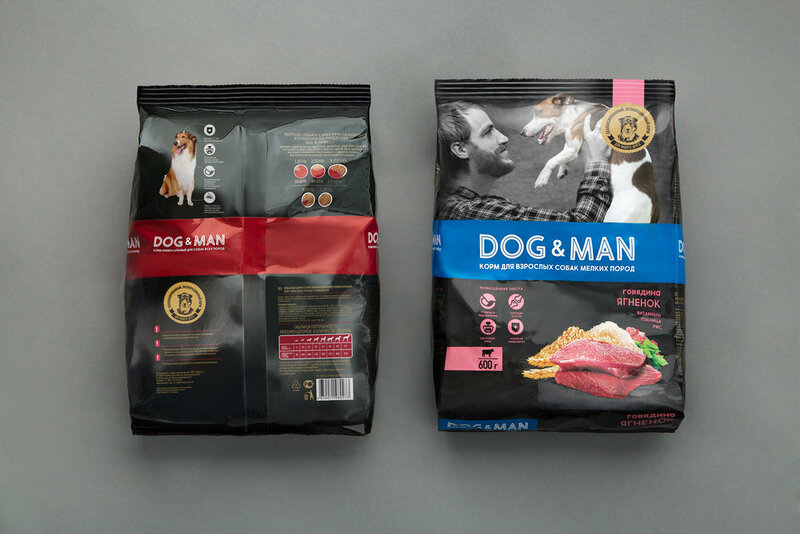 Fabula Branding designed this modern packaging for DOG&MAN pet food. 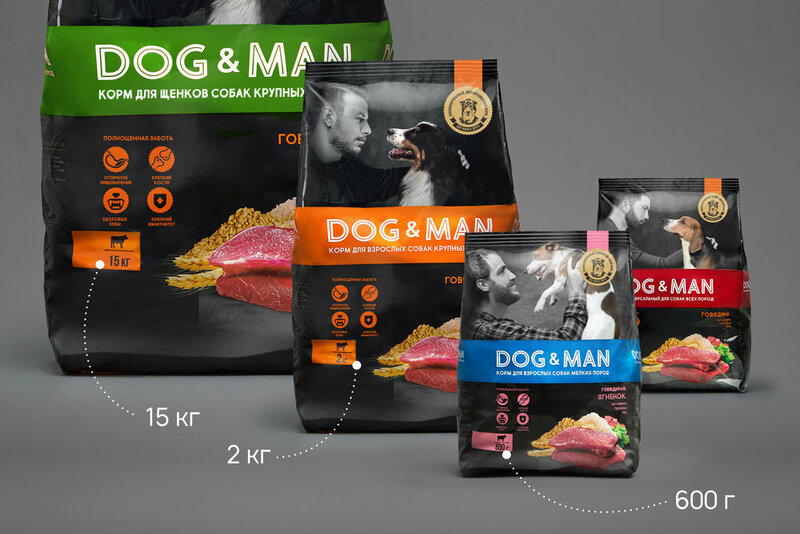 “The majority of competitors emphasize classic dog images in their design concepts. 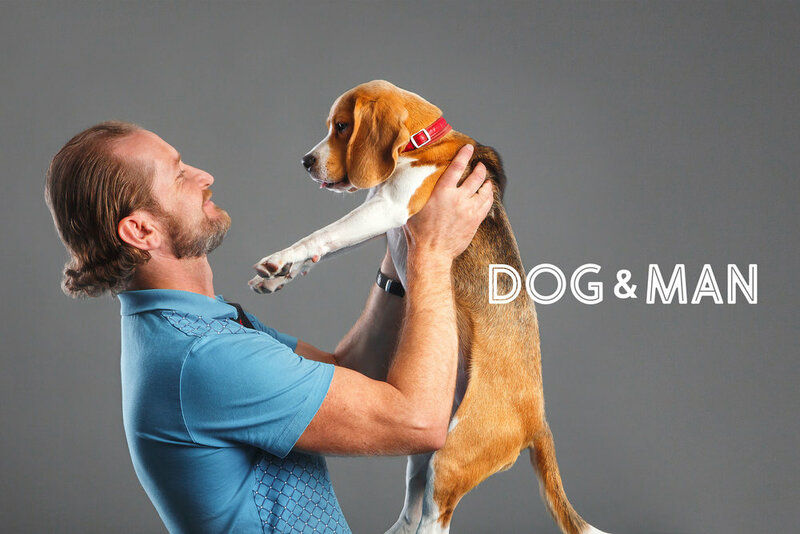 This is why we focused on the relations between the dog and its master. 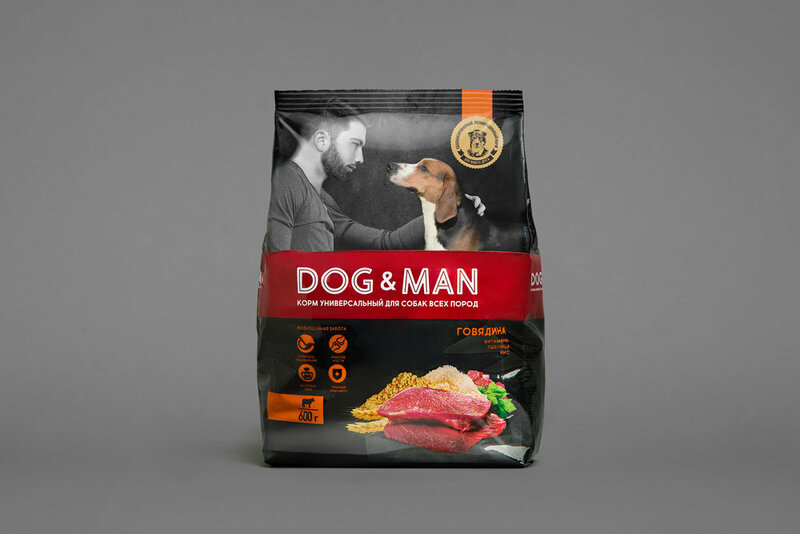 The name itself gave the brand more of a male nature, and we continued to elaborate it. 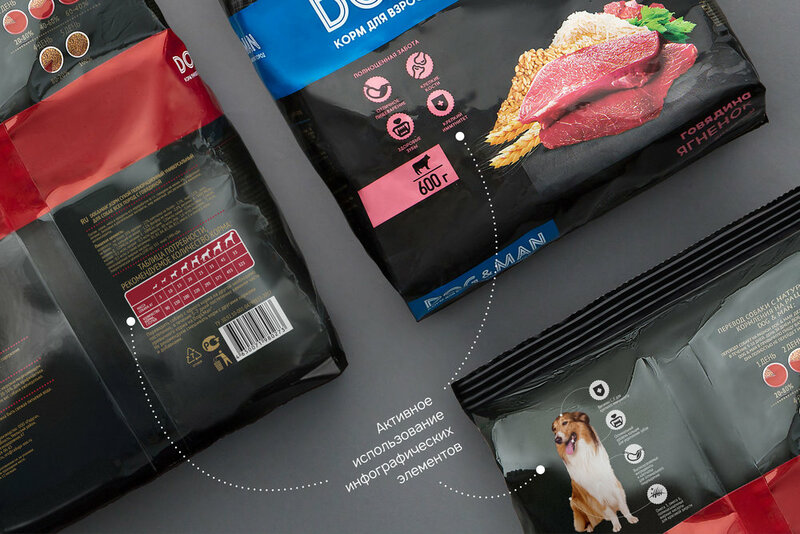 “The lower part is filled with easily understandable infographics as well as one of the constants in our concept – attractive food styling which is unusual for this category.